The following Self-Assessment of foreign language Reading Ability is intended to serve as a guide for people who have not taken a U.S. Government-sponsored reading test but would like to have a rough estimate of their proficiency. The self-assessment questionnaire will produce an estimate of your current foreign language reading ability but is in no way intended to be a replacement for the existing ILR Skill Level Descriptions. Important: The term read as used in this self-assessment always means “read and understand the meaning.” It does not refer in any way to the ability to read aloud without comprehension. The term text refers to any example of language presented in the writing system of the language, including advertisements, weather reports, news articles, letters, lengthy essays, and literary works, among others. For all texts at a level, it is not necessary to know all the words or understand all the details of the texts listed for that level, but it is necessary to perform the functional tasks described for the level at the indicated level of accuracy. To estimate your level of proficiency, start at the lowest level (R-0+) and respond to each statement. For each statement, respond “yes” or “no.” If a statement describes your ability only some of the time, or only in some contexts, you should answer “no.” If you answer “yes” to every statement in the level, your ability is probably at least at that level. Move on to the descriptions at the next level. If you answer “no” to one or more statements, then you are likely not at that level. I can read some isolated words and phrases, such as numbers and commonplace names, that I see on signs, menus, and storefronts, and in simple everyday material such as advertisements and timetables. I can understand the purpose and main meaning of very short, simple texts, such as in printed personal notes, business advertisements, public announcements, maps, etc. I can understand simple instructions, such as in very straightforward street directions. I can understand very short simple written descriptions of some familiar persons, places, and things, like those found in many tourist pamphlets. I can understand texts that consist mainly of straightforward factual language, such as short news reports of events, biographical information, descriptions, or simple technical material. I can understand the main idea and some details of clearly organized short straightforward texts about places, people, and events that I am familiar with. I can understand very straightforward reports about current and past events. I can understand simple typed correspondence in familiar contexts, including descriptions of events, feelings, wishes and future plans. I can usually understand the main ideas of authentic prose on topics I am familiar with, either because they pertain to my work experience or to topics I am interested in. I can usually read and understand all of the material in a major daily newspaper published in a city or country with which I am familiar. In reading a newspaper or magazine that contains editorial or opinion content, I can “read between the lines” and understand meanings that are not directly stated. I can understand the author’s intent and follow the line of reasoning in texts that include hypothesis, persuasion, supported opinion or argument for a position (e.g., editorials, debates, and op-ed pieces) with little or no use of a dictionary. I can understand contemporary expository essays and recent literary prose with little or no use of a dictionary,. I can understand the main ideas and important details of almost all material written within my particular professional field or area of primary interest (e.g., reports, analyses, letters, arguments, etc.). I am able to read fluently and accurately all styles and forms of the language pertinent to professional needs or personal interest without reference to a dictionary,. I can understand long and complex analyses, factual reports, and literary texts. I can understand both the meaning and the intent of most uses of idioms, cultural references, word play, sarcasm, and irony in even highly abstract and culturally “loaded” texts. I can understand language that has been especially adjusted for different situations, audiences or purposes, such as a political essay, humorous anecdote or joke, sermon, or inflammatory broadside, and I can appreciate distinctions in style. 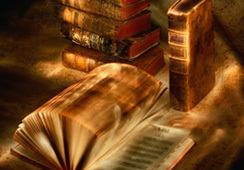 I can read virtually all forms of the written language, including abstract, linguistically complex texts such as specialized articles, essays and literary works, including prose works from earlier periods recognized as masterpieces.